Our new customer in Moulton Park asked us for more lighting in their car park. 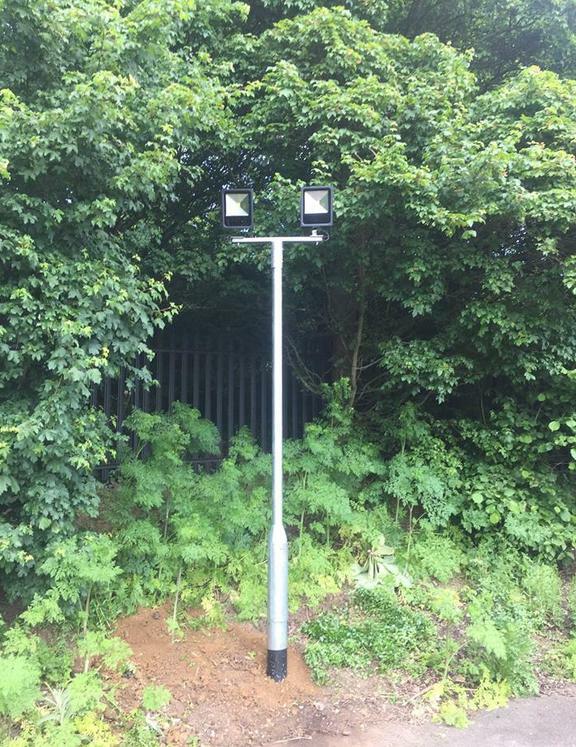 We replaced two bollards with lampposts, each containing two 50W LED floodlights. LEDs are good for this type of lighting because they give a good, uniform light with fewer hot spots and pools of darkness. As a light source they depreciate very slowly too, so you don’t have to start out with over-bright lighting to allow for fading over time. The Chartered Institution of Building Services Engineers (CIBSE) recommends lighting levels of between 500 and 1000 lux for spot welding. 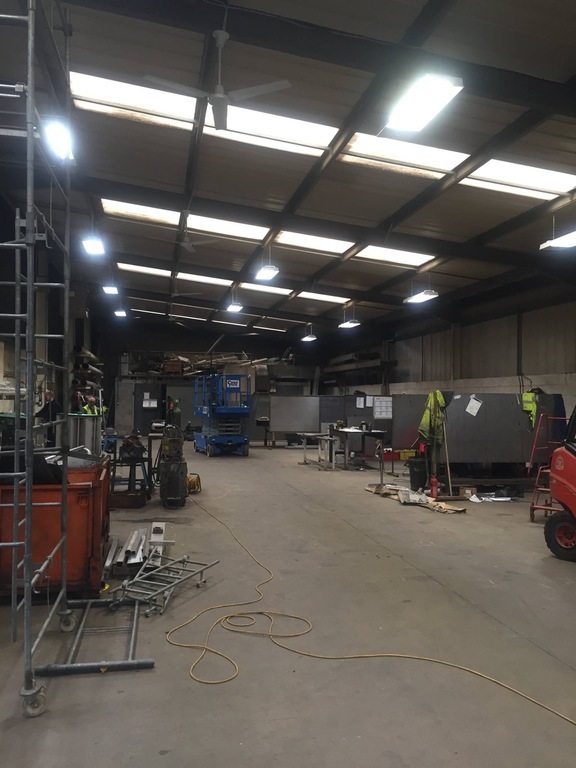 At our client’s engineering workshop they were struggling to get the right lighting levels for their busy precision welding work. We installed fantastic new low bay LED replacements that are great for workshops, warehouses, gyms and other large areas. 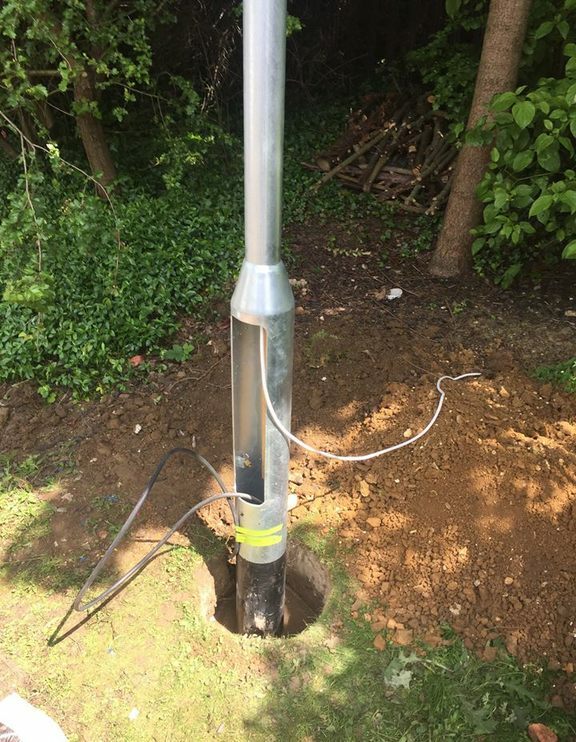 As you can see in the picture, they can be suspended on chains like conventional metal halide or sodium SON light fittings so they are an easy-to-install alternative. They give a lot more light, are energy efficient, long-lasting and low maintenance, so they save time and money too. 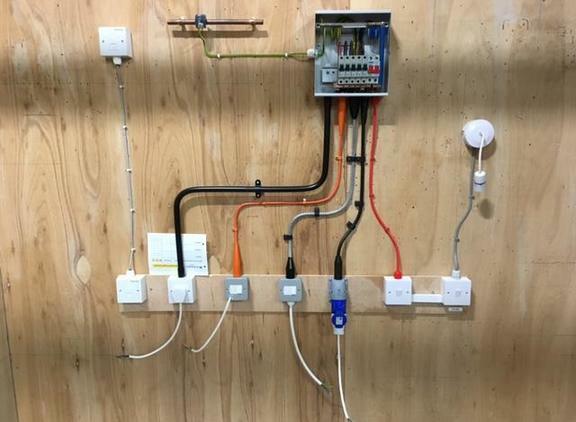 We’re delighted to congratulate our very own Ben Richards, who successfully completed this very tidy installation to pass his practical examination. 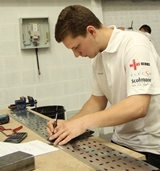 The final eight candidates for the NICEIC and ELECSA Apprentice of the Year award are taking their final series of practical tests on 6 June. 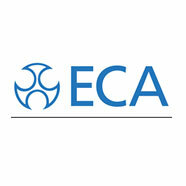 More than 400 young women and men signed up for the awards that recognise the brightest electrical students in the UK. The finalists have already completed two stages of the competition, which began back in November last year. The first stage was an online examination comprising a variety of questions relating to electrical installations. The top 20% then went on to a written examination. 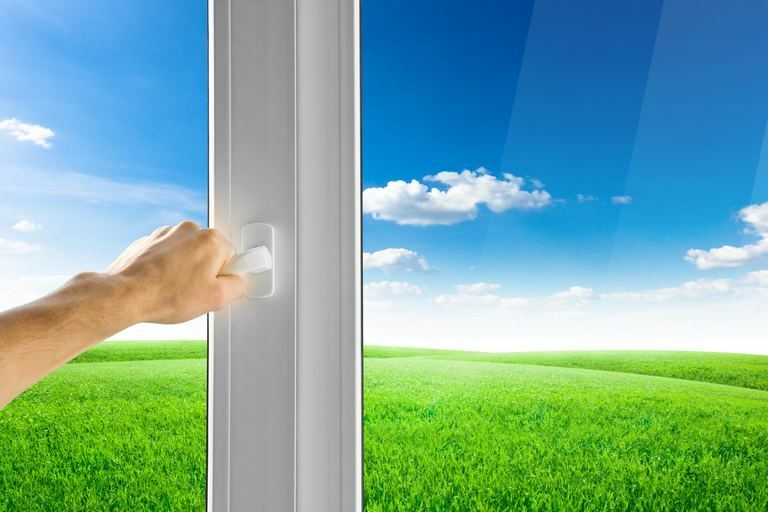 Indoor air quality is becoming increasingly important in domestic and commercial settings. Improved double glazing and insulation keeps us warm and keeps pollution out. However it also means that fresh air can’t get in. The World Green Building Council found that short-term sickness for employees reduced when ventilation with an outdoor air supply was improved. If you are considering installing a heating, ventilation and air conditioning system in your home, commercial premises or offices, it’s important to use the services of qualified and experienced electricians. At MSE we work with a leading company in the field. We would be very happy to discuss your requirements with you. If you are the proud owner of a thatched property, here are some considerations for any electrical installations or wiring in your roof space or loft extension. • Damage during re-thatching or repairs. It’s a good idea to have additional insulation to protect your electrical installations against all of these concerns. You could consider mineral insulted cable, steel wire armoured cable or metallic trunking or conduits. Ideally your wiring should be sealed against animals and dust and trunking joints and ceiling mounted lighting should be fully enclosed. 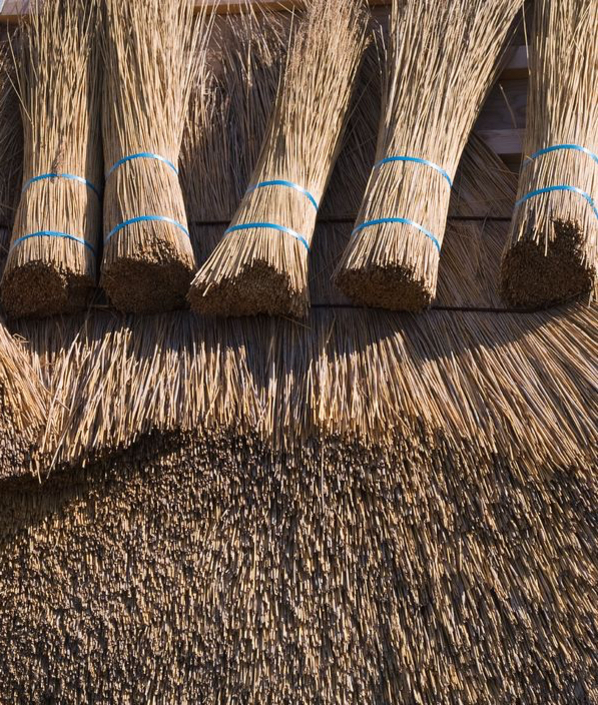 Wherever possible your wiring should run along the centre of your roof space to minimise the risk of damage from the fixings for your thatched roof, which can be up to 450mm long. You should use a qualified electrician to maintain and install your equipment and wiring. Contact us if you would like to know more safe electrical installations for your thatched property. • how long your alternative power supply will be needed – for example, only to allow safe shut-down of equipment or to keep essential equipment running for a short while. If you are looking at heavier loads or longer periods you will also need to install a generator. • will you need to use your UPS for more equipment in the future. If you can anticipate this, you can ensure your installation can provide more capacity when you need it. We recommend you start by having a chat with your equipment provider about the risks of power fluctuations or loss. We will be happy to give you advice about UPS solutions that will meet your needs. Sometimes there will be drops, surges or even cuts in your electricity supply from the National Grid. An Uninterruptible Power Supply (UPS) is a safe and reliable solution to protect your electronic and computer-based equipment. 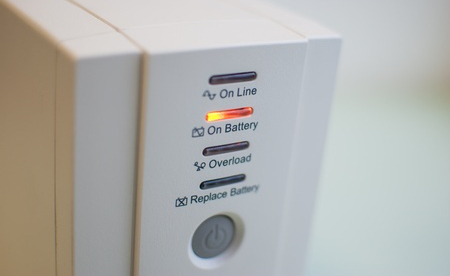 A UPS will continually use a little power to keep its battery charged. A standby UPS will monitor your incoming power supply and will only switch over to the battery if a problem is detected. This can take up to 12 milliseconds. Alternatively, when you use an online UPS, the battery is always the power source for your equipment, so there won’t be a switching delay if there’s a power supply problem. Many modern UPSs can supply management information such as battery charging, operating life and load levels, and can also monitor the environment for factors such as raised temperatures, for example. Many large computer providers will include use of a UPS as part of their warranty requirements. Even if you are only concerned about having five or 10 minutes to shut down your own computer safely and securely or want to be protected from power fluctuations, a UPS could be essential for you. 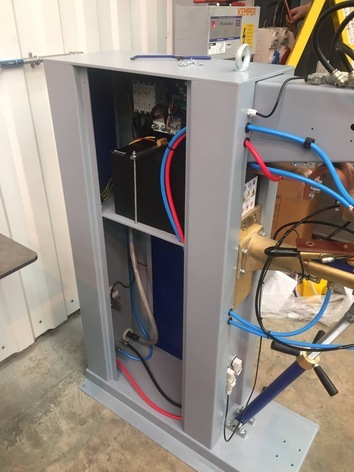 If you are thinking about installing a UPS, you will need to consider the risks of power fluctuations or loss of power, the cost of backup and the space available for the equipment. 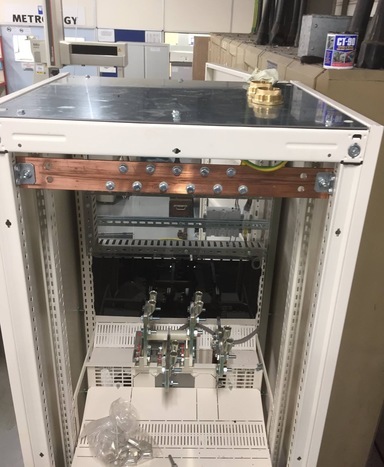 One of large commercial projects over the last few weeks was to install a new switch fuse for a 630A molding machine for a customer in Buckingham. 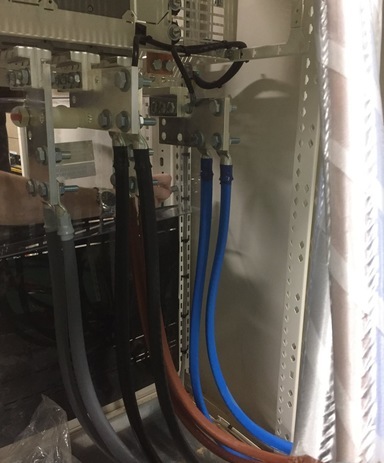 We needed two 150mm 4-core steel wired armour (SWA) cables to supply the mains electricity for the job. Weighing in at over 1kg per metre, these cables are heavy and pretty difficult handle. 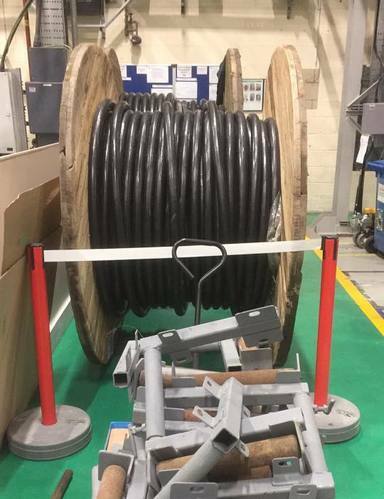 The cable-pull took place over the weekend and, two 1.5 tonne drums of cable and 160 metres later, we were ready to connect to the live power on Sunday. The machine was connected a few days later. 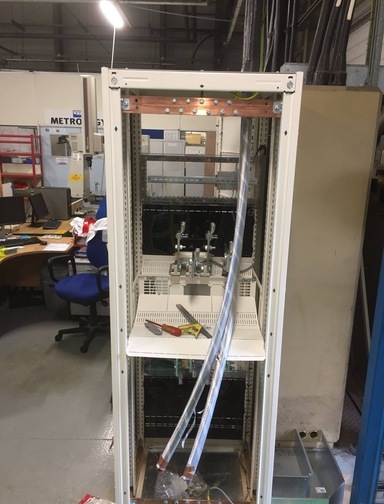 A quick bit of two-phase spot welding with a 35mm 3-core cable for a much smaller 160A machine in Daventry made a nice break from the 150mm cabling! Should my CO alarm be mains powered? Building Regulations in England and Wales require a carbon monoxide (CO) alarm to be installed when any new solid fuel appliance is fitted. The alarm should be BS EN50291 Kitemarked and can be wired or battery powered. Your installer can probably provide you with a battery powered alarm – please check that the battery will last for the lifetime of alarm. However, a mains powered alarm gives you the reassurance that it is reliable and it will have a back-up lithium battery in case there is a power cut. 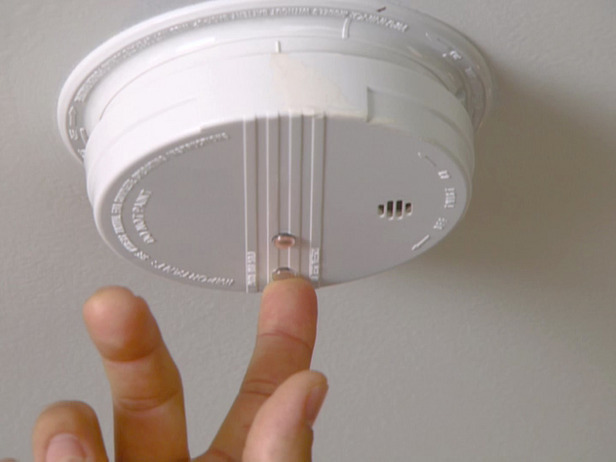 If you’re having a new appliance installed, it’s also worth considering CO alarms for any other appliances too. Get in touch if you would like to know more.